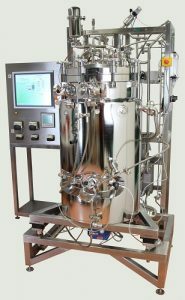 Bioreactors and Fermenters need to be sterilized absolute secure and reliable for working on high sensitivity levels. They have to comply to recent GMP-guidelines and FDA-standards. The challenge for successful sterile tests is to supply steam and/or cleaning detergents to all parts in media contact for 100 % of their surfaces and over the required time. 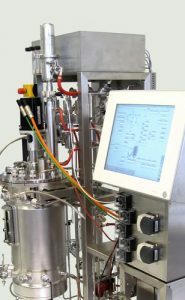 The xCUBIO in-situ performs these CIP- (Cleaning in Place) and SIP- (Sterilization in Place) processes fully automatic, reliably safe and reproducible. The basis of xCUBIO enables bbi-biotech to supply qualified turn-key in-situ bioreactor installations for validated production processes after engineering, procurement, mounting and testing trials. We support the compilation of your necessary documentation.